Before arriving in London from her native Portugal to continue her studies on a Gulbenkian Scholarship, the English soprano Jennifer (Mary) Smith had already sung extensively in Europe and made records for Erato, Philips, DG Archiv and HMV. She has since performed under the batons of many of the world's leading conductors, including Boulez, Rozhdestvensky, Minkowski and Parrott. Jennifer's voice may be heard on over forty recordings, spanning many centuries of music, from the earliest medieval period to 20th-century works. Her main output, however, has been in the Baroque field, especially in the French repertoire of the 17th and 18th centuries. Most recent examples include Marin Marais' Alcyone, Mondonville's Titon et l'Aurore and Lully's Phaeton with Marc Minkowski and Les Musiciens du Louvre. Jennifer Smith is also well-known throughout Europe for her many concert and oratorio performances. Her repertoire is extensive, covering works from Bach, Händel, Purcell and Mozart, to Berlioz, Janacek, Francis Poulenc and B. Britten. As a recitalist Jennifer Smith enjoys a distinguished reputation. She has performed in Portugal, France, Germany, Switzerland, Belgium and Spain as well as Britain. Several of her recitals have been broadcast by the BBC. 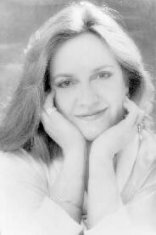 Jennifer Smith's television appearances have included Scarlatti's Salve Regina with the late George Malcolm and Purcell's Come, ye sons of Art for the BBC. She was also a featured soloist in a film about Henry Purcell, directed by Tony Palmer and shown on British television.